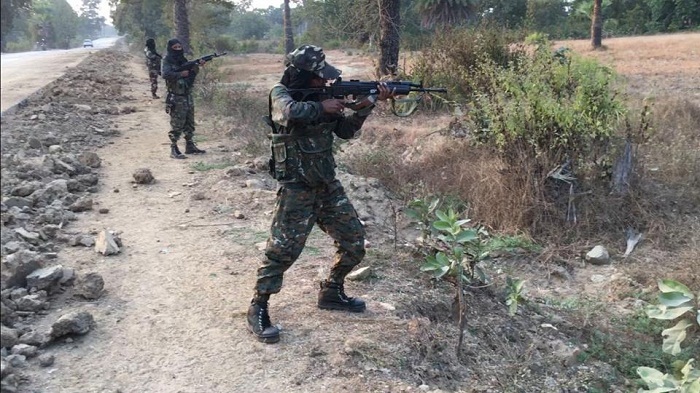 Indian police say government forces have killed at least 14 Maoist rebels during a commando raid on their hideout in a forested area in western India. Police officer Prashant Diwate says fighting began on Sunday after police commandos raided the rebels' hideout deep in a forested area in Gadchilori district in Maharashtra state. Diwate says police had no casualties. The Maoist rebels, who claim inspiration from Chinese revolutionary leader Mao Zedong, have been fighting the Indian government for more than four decades, demanding land and jobs for tenant farmers and the poor. The Indian government has called the rebels India's biggest internal security threat. They operate in 20 of India's 28 states and have thousands of fighters, according to the Home Ministry.